Our latest podcast and first for 2017 is delivered by the upcoming French born and native DJ & producer – 9Planes. We had a short interview with him ahead of featuring him on our ‘TSC Cast’ guest DJ mix series. This is what he had to say about his mix, DJing, and what we can expect from him in 2017. How would you describe the mix you have recorded for our guest DJ Podcast series? I think it is the deepest mix I’ve ever made. Usually, when I’m playing in a club, I’m using between 127 – 131 bpm , but this time I used 122 – 124 bpm , so it is unusual for me to make a podcast like this one. Except the fact, I had a good time while making it and I would also say that this podcast means something different for me. Why did you select the tracks for this mix? I have selected these tracks because they are part of the calmest and deepest sounds I have, but at the same time, they still have this punch and psychedelic things I love in the “techno” I’m usually playing. What was your approach towards the mix, and is there a message you wanted to convey through it? The message I wanted to get through this mix is that you can mix different techno styles while keeping something coherent, playing some dark & melodic sounds mixed with more joyful sounds. What do you like about doing a guest DJ mix? I like doing podcast for different channels because it allows me to share the tracks I like at the moment, and I often change the song style I play at home (deep/techno/house as long as I like the track!). I like mixing them, when it works. Do you try to tell a story to the listeners through your mix, and if yes what kind of story is that? I think all of the DJs try to tell a story through their mix and except for that, every person has a small dark part in them. I started and finished the podcast with calm and cheerful sounds, then I wanted the middle of the podcast to actually show that, the two of them can go very well together. Well I think that at least. Where are your upcoming DJ gigs, where people can hear you spin live? I’m playing in my city in March but at the moment I spent all of my time in my studio, learning new things on Ableton every day. I have some good friends who are helping me a lot, because it still is a little bit new for me. I really want to play in others countries because I want to share my music and discover other musical cultures. I’m also working on some new productions but they are not perfect at this time, so I’m waiting the right moment to share them. But I think I’m ready for 2017! I wish you all the best and I hope to see you soon guys! I leave you with this podcast, you will discover more about me after listening to it. Listen to our latest podcast delivered by 9Planes below (available also for free download). 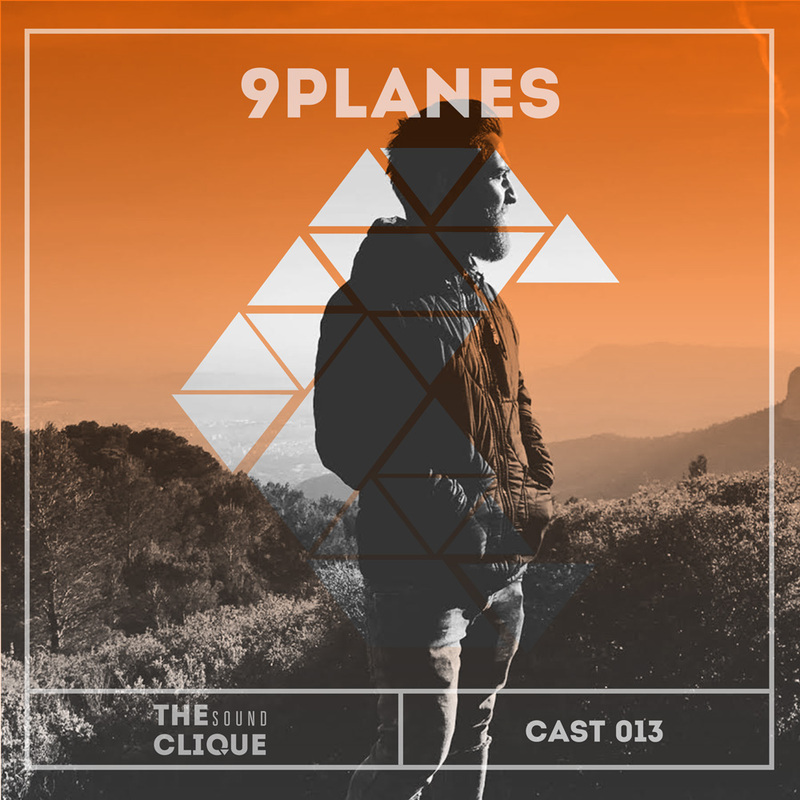 Connect with 9planes on Facebook and SoundCloud.